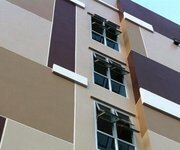 Pattaya can be an expensive place, but it also has a number of inexpensive and cheap hotels in Pattaya many of which entice visitors with Free WiFi. 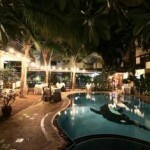 Unlike most of the big expensive hotels in Pattaya, the cheap hotels in Pattaya with free WiFi are a deal! 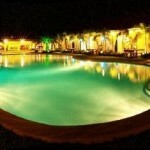 So I've compiled a list of hotels in Pattaya that have free Wifi. 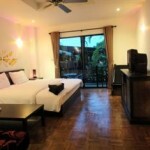 The Maple Mansion in Pattaya is one of the cheapest hotels around, but surprisingly the rooms are clean and spacious. The hotel isn't in the heart of central Pattaya which is probably why it's so cheap, however it's a good place to stay if your on a budget. The room comes with Free WiFi and but that's where it ends in luxury. 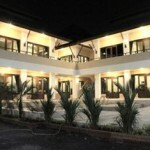 Again this is just a budget hotel that you can use for a week in Pattaya. I've talked about the Gino House before, it's more of a long term apartment kind of place but they do rent rooms by the day as well. It's a good place to go for a week but if your in town for just 1 or 2 nights you probably want to have a look at another hotel on this list. Free WiFi is complimentary. This is one of those hotels that are way under priced, they have a special going on that makes it so cheap because normally you'd book a room here and it would cost you almost $50 dollars USD. It has a great pool isn't too far away from the action and is girl friendly so this hotel is one of the best hotels around for this price range. If your looking for a cheap hotel in Pattayathat not only has free WiFi but also a massive swimming pool for around 500 baht then the Lake Mabprachan resort is the place to stay.For more information or to book a room click here. If you plan to stay in Pattaya for more than a week and are looking for cheap accommodation but you arn't going to stay in Pattaya for more than a month then a stay at the Sugar Home Serviced Apartments is great. There are many long term foreigners living here permanently as well so if your new to town then this is a great way to make friends and find out the latest news on Pattaya. 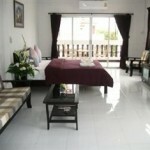 One of the best appointed rooms you'll find for a cheap hotel in Pattaya. WiFi is complimentary of course but the rooms are not only spacious they are also aesthetically pleasing as well. The hotel even comes with a fully loaded kitchen so if you like to cook your own or perhaps have a party with a few guests around "my favourite" then you can't go wrong with this hotel in Pattaya, for the price it's a steal! 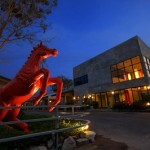 Located in South Pattaya this is a new hotel that I recommend for one reason. The beds, only new hotels have the best beds, if your going to an old hotel you will be the millionth person to sleep on the bed making it hard and uncomfortable, but this hotel being new is great for some bedroom play, if you have a sore back, then stay here for your trip. A lot of hotels in Pattaya now have only Non-Smoking rooms, so this hotel will be a welcome relief for those who like to smoke. They have smoking rooms along with free WiFi. Probably not the hotel for the eager punter as it's not exactly near beach road, but for a cheap hotel these days it's hard to find one close to beach road. 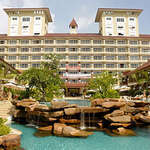 For value for money hotels in Pattaya this hotel is probably the best you'll get for $20 dollars. Awesome swimming pool and jacuzzi, attached restaurant, there is free WiFi only in the public areas (though some rooms you can still get the public WiFi too as long as your not up high. For the serious Punter who likes to have a lot of fun with Bar girls in Pattaya then you need to take a look at the Red Horse Resort! This is similar in style to a Curtain hotel in Thailand, but minus the curtain. Each room is themed but don't choose a theme, be adventurous and have them pick you a room. These themed rooms are really fun especially in Pattaya. 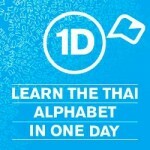 Hi Chris, I’ve just been looking at pattaya hotel prices from your link and they’re double what you’re quoting. How old are the prices on your site mate? Ps- your web page is excellent. If you checked now yes they would be more because it’s almost New Years hotels are full and it’s high season. check towards the end of jan and prices will be normal again. Thanks for reading. Thank you very much for what you know. I am usually glad to do my own research but hotels that state they do monthly rates seem to hide anything about that on their websites.